The popular IT vernacular of last year – cloud computing, big data, and virtualisation – has been replaced with the likes of mobility and digital transformation. And yet, the building blocks of enterprise resource planning (ERP) remain integral to the success of the business. How then is the new dynamic impacting on such a fundamental technological component? Given the imminent arrival of new multi-national data centres in South Africa, much attention has turned to the feasibility of going the cloud route (likely still a hybrid approach) for local businesses. Certainly, while companies across different sectors have started to embrace virtualised solutions, many analysts expect a significantly more mainstream adoption once those new data centres open in 2018. Apart from addressing concerns that exist around potential bandwidth limitations of accessing data hosted thousands of kilometres away on other continents, the new local data centres will see faster (and more reliable) connectivity between corporate users and their mission-critical information. Already, we are seeing businesses embrace mobile enterprise solutions to gain real-time insights while out in the field. Of course, a further advantage of going the local route is the fact that any potential compliance and regulatory concerns are taken care of by keeping data within the borders of the country. This is contributing to Africa being a mobile-first continent. Even South African businesses are becoming less focused on rolling out traditional solutions and more geared towards being mobile-friendly. This push towards mobile is driving the need for easier and faster ways to access data while away from the office. It stands to reason that accessing systems on a smartphone or tablet is becoming a corporate priority. For this to work effectively, ERP needs to transform as well. In fact, mobile ERP is one of the biggest growth areas for vendors in the months (and potentially years) to come. By creating an enabling environment for mobile ERP systems, business users will be able to access everything from reports and job processes to financial data and other components while working remotely. Granted, several solutions already exist in this space to help drive mobile ERP, but there is still significant opportunity for refinement. Effectively integrating with the back-end database wherever it is located becomes a priority. All the user-friendliness and design engagement mean very little if the right information is not accessible quickly and reliably. 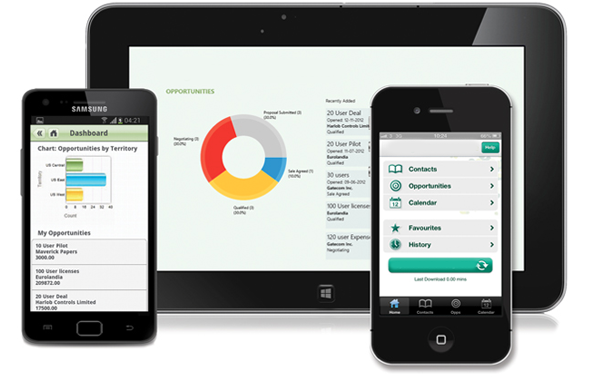 Significantly, these mobile ERP solutions can cater for organisations of all sizes. Even small to medium enterprises can benefit from this mobile approach with ERP becoming more affordable. Despite the hype around the cloud and virtualization, the business benefits they bring to the digital transformation initiatives of businesses cannot be ignored. So, while mobile ERP might still be considered a relatively niche field amidst all the excitement of other digital initiatives, it will be a vital element of any business strategy. How decision-makers will implement it and integrate with the rest of their data-driven solutions will be an ongoing part of the process. Irrespective the way forward, companies who have been ignoring the mobile route need to start re-examining their approaches before it is too late. Digital waits for no one.